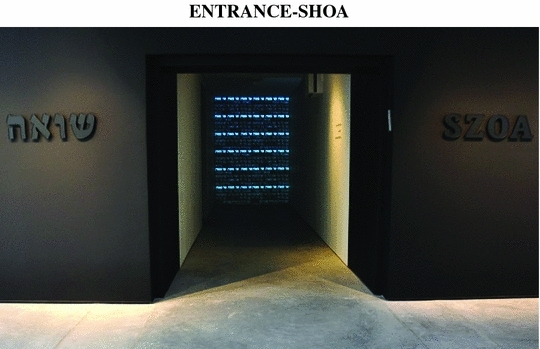 In April 2010, following a competition, held by Yad Vashem-The World Holocaust Remembrance Center, on behalf of the Israeli Government, Studio de Lange was nominated to plan and design the permanent exhibition in block 27, the Jewish Pavilion at the Auschwitz-Birkenau State Museum. The site is UNESCO Heritage since 1979. The pavilion is open to the public since July 2013. 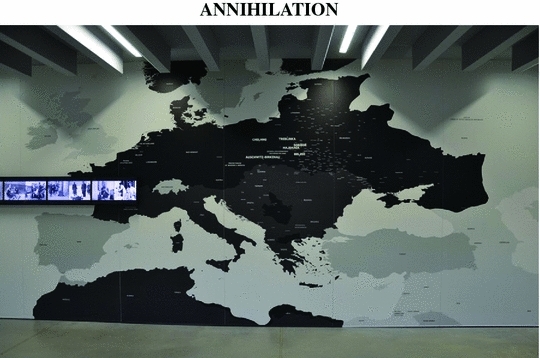 Our challenge was to create an exhibition that expresses such a historical event in an unpretentious, clear and accurate manner to the visitors—most of whom are young, non-Jewish, European citizens. The design process comprised hundreds of hours of discussion and contemplation, occurring during three years of consultation with the project’s steering committee, as well as with experts from the fields of architecture, art, visual communication, media, typography and cinema. We also worked with specialist engineers, who assisted with the building and preservation works in the Block, voice and sound technicians, acoustical experts and more. The results of this collaborative effort are spaces with clean, minimalist lines that impart the historical facts clearly and directly. Each space in this objectless exhibition presents its specific content differently, but all of them invoke the basic human senses so that the visit becomes experiential as well as educational. Each space has another dominant sense such as extreme quiet, strong sound and human scale video projection. Our aim was to allow visitors to absorb and internalize what they encounter over a relatively brief period of time, and depart with renewed insights regarding their own contemporary existence. The red-brick building inside the Auschwitz-Birkenau Museum complex, comprising 1000 m2 spreads over two stories. 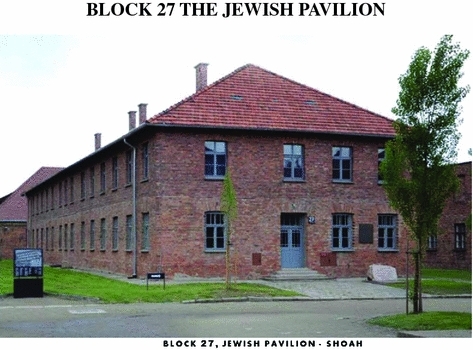 Block 27 is one of dozens of other similar structures at Auschwitz, now dedicated by the Museum to relating the wartime experiences of different national groups at the concentration and extermination camp. For us, as designers of the Jewish Pavilion, it was important to maintain the original spaces inside the Block as far as possible, including keeping the windows uncovered in order to underscore the connection between the exhibition and its authentic, historic surroundings. 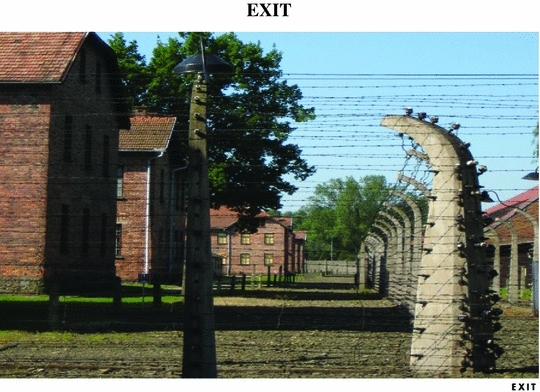 Thus, also, in contrast to the other Blocks, the visitors’ route through the exhibition purposely concludes at its rear exit, which faces the barbed wire surrounding the camp. 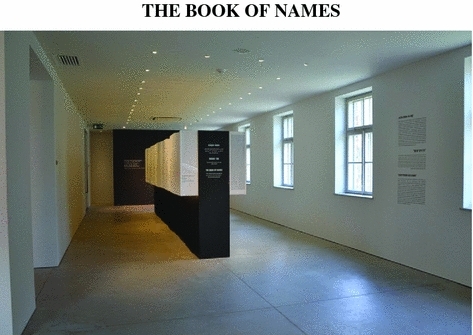 The “Book of Names” (designed by Prof. Chanan de Lange) is a site-specific installation that brings out Yad Vashem’s mission of collecting the name of each and every individual Shoah victim. 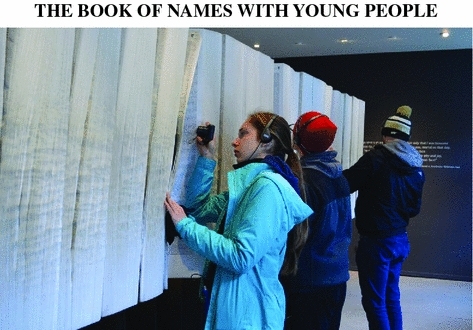 This project, ongoing for six decades, has resulted in the recording of 4.2 million names so far—a remarkable accomplishment, but one that is not simple to impart experientially. 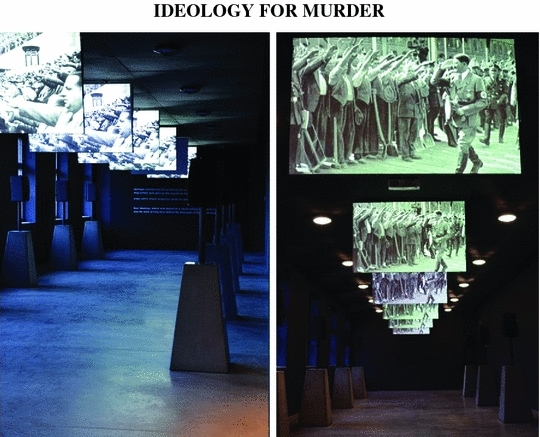 Our goal was to create a permanent memorial to these murdered Jewish men, women and children—one that would encompass both their inconceivable numbers as well as their individual identities. Every name, birth date, home town and place of death is clearly printed on the meter-high pages, illuminated by a gentle strip of light that lies between each page. Thus one can search for, pinpoint and even touch the data of any individual victim, and thus commemorate him or her in a private, intimate and personal way. 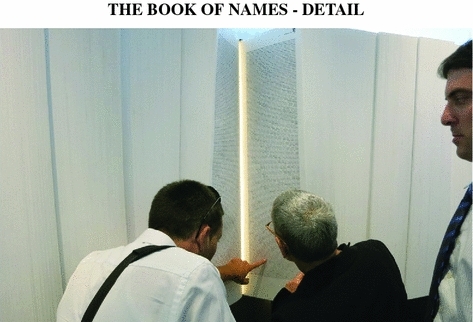 However, the monumental size of the exhibit—58 volumes of 140 pages each, 500 names per page, measuring 2 m high and 14 m in circumference, also attest to the collective, immeasurable loss to the entire Jewish people, and to humanity. The blank pages of the book's final volume, await the names still to be redeemed, recorded and memorialized in perpetuity by Yad Vashem. 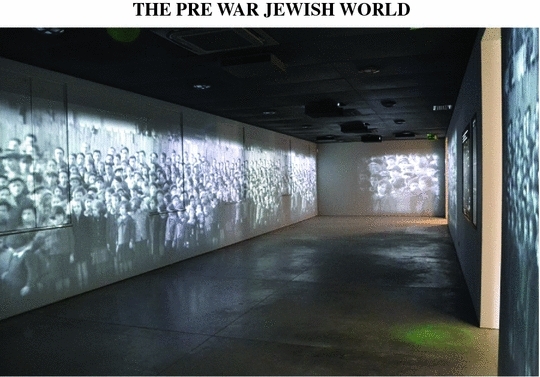 The exhibition was created by the State of Israel and Yad Vashem, with the assistance of the Claims Conference and in coordination with the Auschwitz-Birkenau State Museum. Shimon Kornfeld – Tafnit Wind Ltd.